Choosing the right traumatic brain injury lawyer matters. Brain injuries are especially devastating since they tend to impact who you are as a person. As a result, getting the best compensation possible is crucial for living the best and most normal life possible after such a horrific injury. Your brain affects who you are and everything about you. If you or someone you love suffers a traumatic brain injury, the brain, and therefore the person, may be different. Not only does a severe brain injury affect the very essence of the individual, but it can have significant financial consequences as a result of medical expenses or lost earnings. 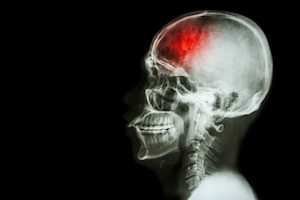 How Can a Traumatic Brain Injury Lawyer Help? It’s clear that a traumatic brain injury can change a person’s life. A traumatic brain injury lawyer can’t undo the physical damage, but they can help the person with a traumatic brain injury recover as much as is medically possible and try to compensate that person for such a significant loss. To do this, the traumatic brain injury lawyer must take legal action against the person or organization responsible for the traumatic brain injury. Because of the seriousness of the injury, a lot of money will be at stake. This also means that the party sued is likely to mount a vigorous defense. As a result, many medical, economic and technical professionals will become involved to prove and explain the harm from the traumatic brain injury. They will testify to what it will cost to do as much as is medically and practically possible to repair the injury and make the victim whole again. This is no easy task, and it may take years before recovering adequate compensation. And there is never a guarantee that the victim of a traumatic brain injury will obtain enough money to pay all past and future medical bills. There is no promise of full compensation for things like lost earnings and pain and suffering. However, a traumatic brain injury attorney can provide the best chance for the victim to obtain a financial recovery to help them live their lives the best way possible. How Can a Traumatic Brain Injury Lawyer Change a Life? A traumatic brain injury can cause a variety of permanent injuries, such as paralysis. This injury may require assistance and therapy for the rest of the victim’s life. This cost of the assistance and physical therapy will be huge. Without compensation for these costs, the victim may not be able to obtain the help they need. Physical therapy may not get them walking again, but it may allow them to take a few steps. It might give them the physical ability to live independently. Getting the necessary help and being able to afford it can truly be a life changer. No one can put a dollar amount on the loss endured after a traumatic brain injury. A court cannot go back in time and reverse the damage from ever taking place. The most it can do is order the responsible party to pay the victim with money. Do You or Someone You Know Have a Traumatic Brain Injury? Schedule your complimentary consultation with Williams & Williams, LLC about hiring a traumatic brain injury lawyer by calling 770-823-2711 now.